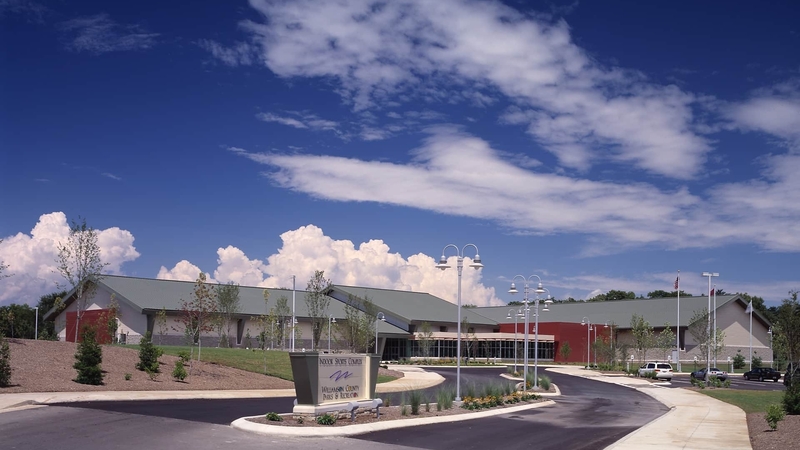 Answering the demands of the thriving suburban region of Williamson County, TN., TMP provided the design for a 79,000-square-foot Indoor Sports Complex focused on competitive swimming and tennis. TMP was charged with creating an interior design that could stand the test of time and be relatively maintenance free. A 50-meter training and competition pool with movable bulkheads for programming flexibility and seating for approximately 900 spectators. A 4,000-square-foot wellness center with weight training and cardiovascular fitness equipment. A pro-shop and concessions area. Multi-purpose rooms and support spaces. Bright colors inspired by the client’s logo to produce an energizing atmosphere.